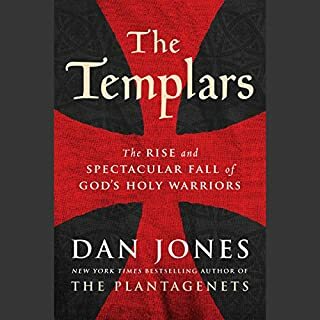 While this is another delightful narrative history by Mr. Jones, it suffers from his 'modernization' of all the names of people and places related to the Templars. While this may not be a problem for people new to the history of the Templars, it can be confusing to anyone with more than a passing knowledge of the order. A primary example, which drove me personally crazy while listening to the audio edition of the book, was the 'updating' of the name of the final Grand Master of the Templars, Jacques de Molay to James of Molay. However, I can find no real complaint to Dan Jones' measured delivery of the text of his book as the narrator of the audio edition. Listening to him read his own work somewhat makes up for the confusion caused by the updating and changing of place and personal names.